Spinal cord injuries are extremely serious and the road to recovery is often a long one. Two million people worldwide are affected by spinal cord problems that result in the loss of motor and sensory function below the point of injury, which can be devastating. I’ve blogged previously about a team from Stanford University, which is working reduce the trauma of injections and improve the ‘healing help for spinal injuries‘. It’s an area where chemical engineers are making a difference. Here’s another great example. 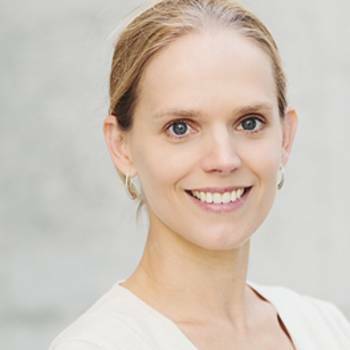 The European Union has awarded a 1.5 million Euro grant to a chemical engineer, Dr.-Ing Laura De Laporte, from DWI – Leibniz Institute for Interactive Materials to research an injectable hydrogel that will help spinal cord repair. 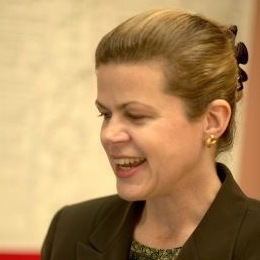 Laura’s research objective is to develop a minimally invasive therapy for spinal cord injury. She will do this by engineering a biomaterial in a project she calls ANISOGEL. Her goal is to develop an injectable material with the potential to provide biochemical and physical guidance for regenerating nerves across an injury site. Being a part of the blogosphere over the past 307 days has opened my eyes to how many of us bloggers are actually out there. So I was especially pleased to read today’s story about how blogging caused a scientific breakthrough. Research into the innate immunity of opossums (marsupials found in the Americas) to a variety of snake venoms and their possible use to create antivenoms was first patented by Binie Ver Lipps in 1996. However, this research went largely unnoticed. But Binie’s work was mentioned by a blogger in 2012. This led to an article being written on Yahoo!News, which was subsequently read by chemical engineering professor Dr Claire F. Komives. Inspired by the story Claire and her team, from San Jose State University, US, demonstrated that genetically modified bacteria could produce the protective peptide at low costs. This simple peptide could prevent countless deaths from snakebites and the antivenom relies on a sequence of just 11 amino acids, copied from an opossum protein. Tonight at 20:30, all over the world, individuals, companies, government organisations, and possibly even Her Majesty the Queen, will switch off their lights. This symbolic gesture marks Earth Hour, initiated by the World Wildlife Fund (WWF) in 2007 as a lights-off event to raise awareness of climate change. 162 countries and territories worldwide now take part in Earth Hour. You can get involved and help to raise awareness about climate change by switching off your lights at 20:30 local time for one hour. You can share your thoughts on the climate change challenge on Twitter using #YourPower. I recently came across the story of one country, Costa Rica, whose citizens are prepared to go much further in the battle against climate change. 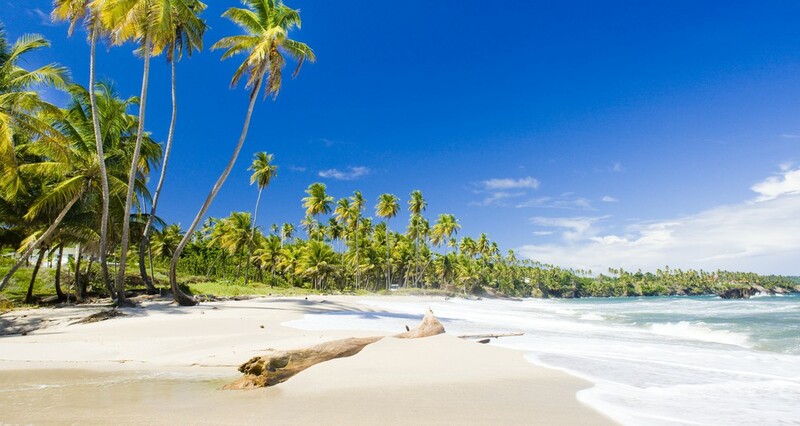 Since the beginning of the year, Costa Rica has avoided the use of fossil fuels altogether. The Costa Rican government recently issued a press release announcing that during the first quarter of 2015, they relied on renewables for 100 per cent of their power generation. 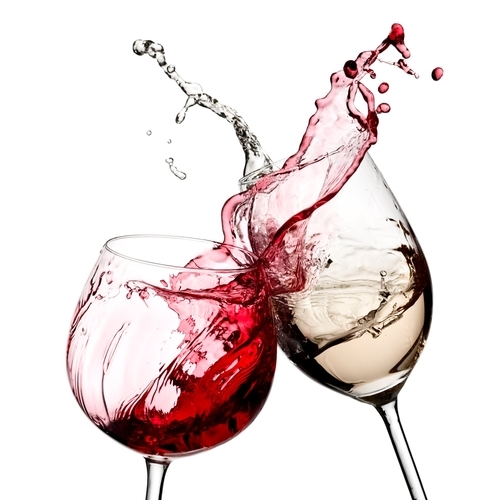 Sustainable water research is big news in South Africa especially for the wine industry. The South African wine industry is the 9th largest wine producer in the world, with over 100,000 hectares of land dedicated to vineyards. South Africa is committed to sustainable wine growing and recognises the problems of cultivating the majority of its wine in a biodiversity hotspot: the Cape Floral Kingdom. So the introduction of the integrity and sustainability seal for wine, launched in 2010, certifies that the wine in question has been made in a manner that is respectful to nature, and guarantees sustainable wine production. To make their wines sustainable, producers are taking responsibility by dedicating land for conservation, removing foreign plants and restoring wetlands and rivers. 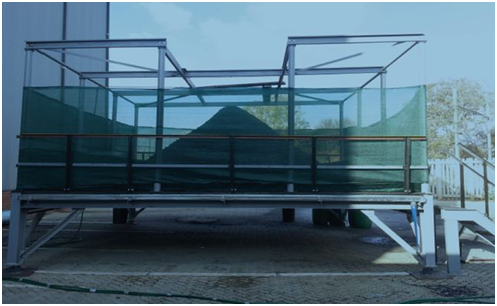 But there have been particular issues in many regions, for example in the Witwatersrand Basin there are reports of soil being highly acidic and contamination of water resources. Dr Craig Sheridan, from the University of the Witwatersrand (Wits) School of Chemical and Metallurgical Engineering openly confesses to having a passion for chemical engineering and water! Most people who work in the chemical industry have had to deal with the sharp intake of breath and disapproving voice of someone saying “but chemicals are bad”. But then we explain that ‘chemicals’ are all around us – the oxygen and water we need to survive; in the food we eat; the clothes were wear; even our bodies – are all made up of ‘chemicals’: see my blog ‘Can you lead a chemical-free life?‘. It is rare, certainly in the UK, to see an advert openly using the words ‘chemistry’ or ‘chemicals’. However, there’s one company that wears its chemical credentials proudly on its sleeve and I want to congratulate them for this and at the same time say ‘Happy 150th Birthday’ to BASF. Today, BASF produces agrochemicals, chemicals, plastics, high performance materials and catalysts. They are also involved in biotechnology as well as oil and gas exploration. When a young chemical engineer achieves worldwide acclaim for his work less than five years after gaining his PhD, it certainly brings about a sense of excitement. So it gives me great pleasure to congratulate my colleague and friend, Niall Mac Dowell, on receiving IChemE’s Nicklin Medal for 2014. Already, in his short career he has come to be recognised as one of the UK’s top researchers in the area of low carbon energy. Niall is the only researcher in the world to have published work at the molecular, unit, integrated process and network scales in the context of carbon capture and storage (CCS). Day 300 and counting. It’s a nice round number so I thought I’d talk about something a little bit different. We often assume that engineering is something unique to humankind. However, if you take a closer look at the animal kingdom, you soon realise that this is not the case. Some animals have been exploiting chemical engineering principles for so long, we are now taking inspiration from them; see my blogs on ’Deep sea printers’ or ‘‘Hand-made’ pills inspired by a starfish‘. Today is UN World Water Day – a day for water and for sustainable development. This year, World Water Day focuses on the following ideas: water is health; water is nature; water is urbanisation; water is industry; water is energy; water is food; and water is equality. But I want to add something to this list: water is chemical engineering. The importance of water is often overlooked. 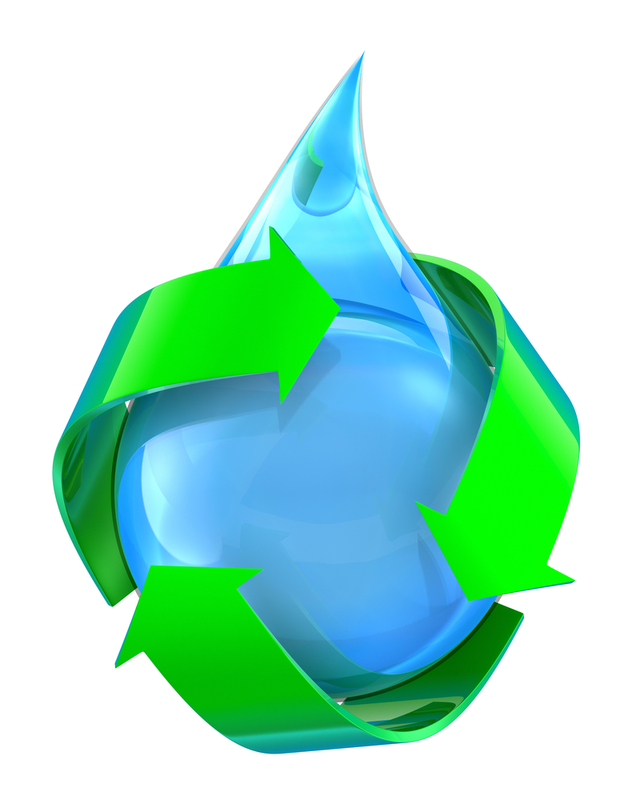 Water is not only essential for life but it is of key importance in chemical engineering too. In the past, I have discussed the relationship between water and food, water and energy and the water-energy-food nexus, and I can’t stress enough the importance of these interdependencies. Today, however, I thought I’d focus on the more light-hearted work of the chemical engineers at the University of Minnesota, US, who are working to understand the impact of raindrops. It’s always a pleasure to pick up a newspaper and read about the latest achievements of a fellow chemical engineer, and in this case, an IChemE member. Many chemical engineers are discouraged from talking about their work. Particularly when an employer doesn’t want you to let the cat out of the bag and give away a secret formula, process or recipe. So I was particularly pleased to discover that Alan Gundle, the chief analytical scientist for the leading global confectionery, food and drink manufacturer Mondelez International, had spoken about his work in a leading UK broadsheet newspaper. The article is truly inspirational, and based on Alan’s comments, I’ve compiled a list of things that can help the chemical engineer to succeed in the food and drink industries. When someone suffers a serious injury, timing can literally be a matter of life or death. Blood loss must be tackled immediately, but care must also be taken to prevent infection of the wound. Chemical engineers working at Massachusetts Institute of Technology (MIT) have developed a dual-function ‘smart bandage’ that could save lives, not only by stopping bleeding but also by preventing infection. The bandage is designed to rapidly dispense a coagulating agent that stops bleeding and then slowly release an antibiotic to prevent infection. This work is published in the journal ACS Biomaterials Science and Engineering under the title: Multifunctional Self-Assembled Films for Rapid Hemostat and Sustained Anti-infective Delivery. 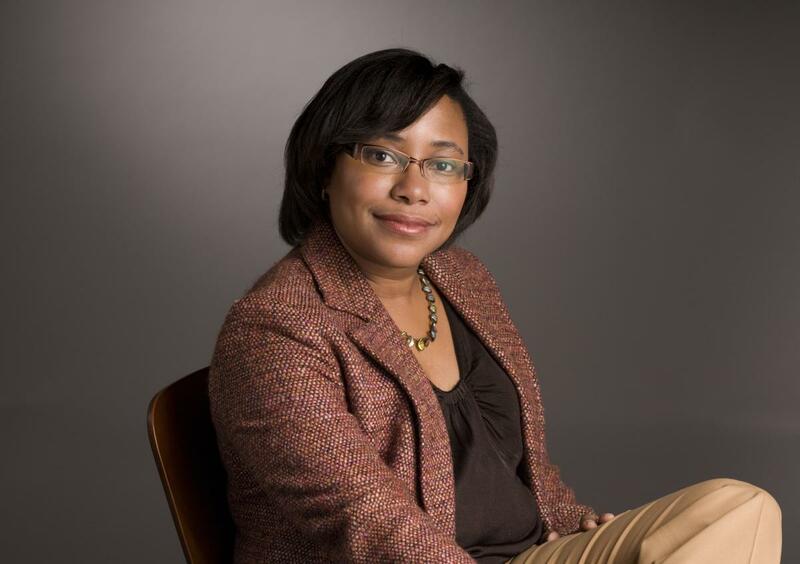 The group developing these smart bandages is led by Professor Paula T. Hammond, the David H. Koch Chair Professor of Engineering in the Chemical Engineering Department at MIT. Paula suggests that the bandages might prove particularly effective in the treatment of wounded soldiers on the battlefield when a medic is not present. Fluorspar, or fluorite, is the mineral form of calcium fluoride and the key raw material in the production of hydrofluoric acid, a significant commodity chemical with a wide rage of uses. South Africa is a producer of acid grade-fluorspar, but around 95 per cent of its production is exported. However, heavy reliance on income from the export of low value materials can hamper a nation’s economic prospects and render it vulnerable to global price fluctuations. An initiative from the Southern African Department of Trade and Industry aims to address this challenge via a two-pronged approach. First, by developing cutting-edge technology in fluorochemicals and also by accelerating the skills development in fluorine engineering through world class research. Chemical engineers working in the Department of Chemical Engineering at University of Pretoria, South Africa, have focused their work on the production of novel fluoro-materials, development of dry-fluorination reactions and modification of polymer properties by reactive processing. Their research also involves chemical engineers from the University of KwaZulu-Natal and an industry consortium. The US diplomat, Chester Bowles, once remarked that politics is too big and too important to be left to the politicians. It’s a view that I share and I wholeheartedly agree with the thinking set out in the Chemical Engineering Matters report, which encourages IChemE members to engage with opinion formers and policy makers. It’s all too easy to dismiss the modern politician as being all spin and no substance. But this is a dangerous over simplification. The work of government is not easy and engineers need to recognise that the pursuit of short-term political advantage is a consequence of the political system and the electoral cycle rather than a fundamental failing of the politician themselves. Many readers of this blog come from outside the UK. You might argue that the UK General Election on 7 May 2015 is of no consequence, but I would ask you to stick with me on today’s post, because the political decisions made in one country can affect us all and the ideas that I am exploring here are equally valid in, say Australia, which goes to the polls in 2016 and Malaysia where an election will be held before the end of 2018. 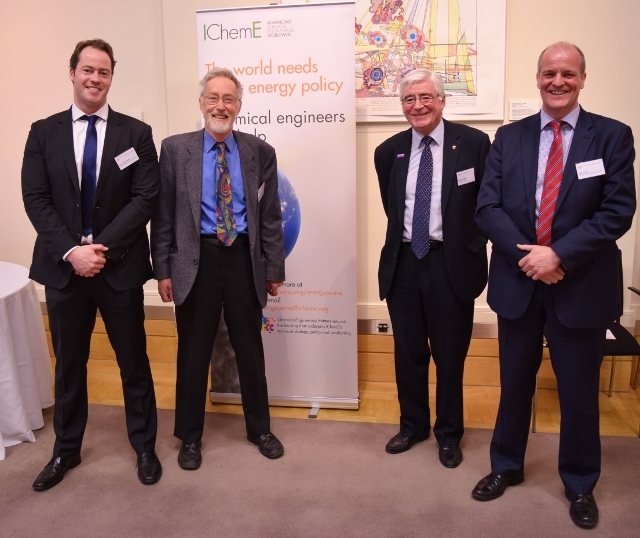 IChemE works closely with other institutions and professional bodies. Earlier this week, we were particularly pleased to support the work of the Society of Biology at a debate they hosted in the UK parliament: ‘Science and the General Election 2015’. Earlier this week, I blogged about zeolite and its potential use for a more efficient carbon capture process via adsorption. And now it seems that applications of zeolite stretches even further – today’s blog focuses on the use of crystalline zeolite membranes to extend battery life for renewable power systems. 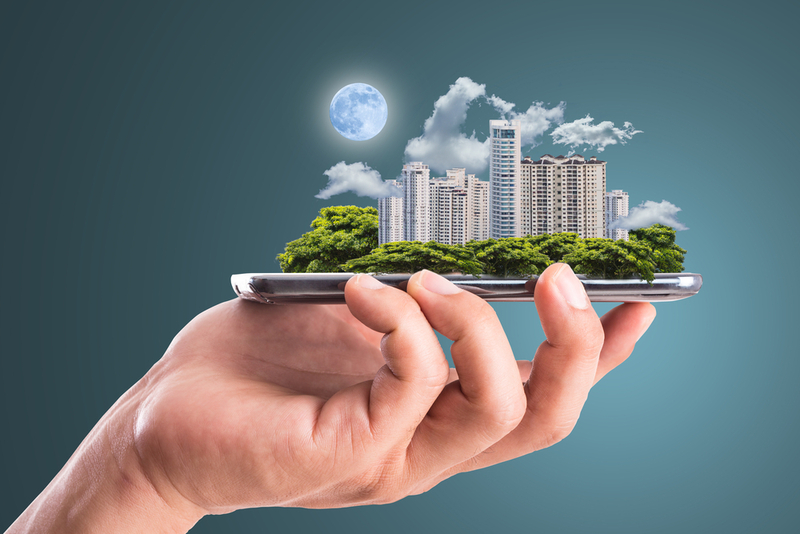 Smart grids, along with renewable solar and wind power systems, require affordable and efficient energy storage batteries. The reason for this is rather obvious – renewable energy sources such as wind and solar are intermittent. Also, there is a need to balance supply and demand. But the current high cost and short life span of storage batteries are preventing widespread market penetration and economic viability of these renewable systems. Research led by Junhang Dong, professor of chemical engineering at the University of Cincinnati, US, addresses this issue twofold. 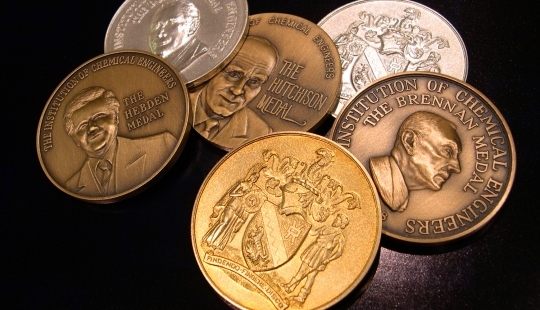 IChemE has traditionally awarded a range of medals and prizes to acknowledge the achievements of chemical engineers around the world. It’s one of the ways in which we recognise that chemical engineering matters at an individual (or team) level, and I always look forward to the announcement of the winners. The medals and prizes will be presented at a range of events and locations in the months ahead, but given that the list has been publicised in the March issue of The Chemical Engineer (tce) magazine, I thought I’d take the opportunity to blog about some of the winners and their achievements. 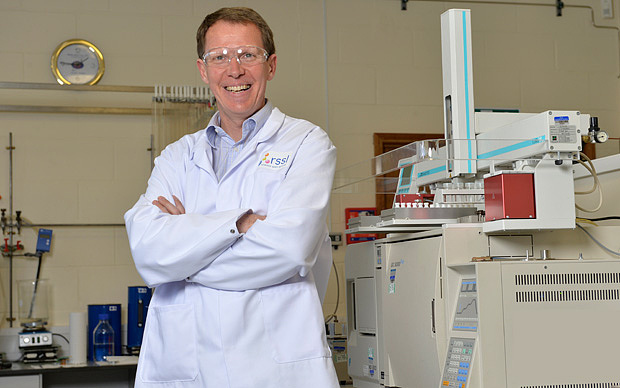 First up is the Ambassador Prize, this year awarded to my friend and colleague, Dr Paul Fennell, for his outstanding work to bring greater understanding of chemical engineering to non-chemical engineers – from government ministers to university students and school children, to people in the pub! Yesterday, I blogged about the application of chemical engineering to reduce engine wear and tear. Today, I’m taking a look at another vital component of most road vehicles – the tyre. Tyres are an underrated feat of engineering. They hold tonnes of weight on a cushion of air; provide traction between a vehicle and the road; and, because of their elasticity, can spring back to their original shape even after prolonged use. 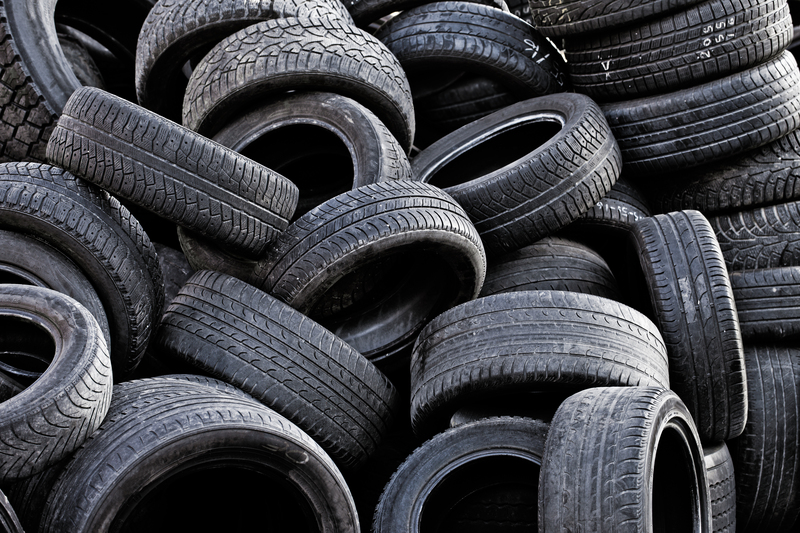 The materials used in the manufacture of tyres include rubber, carbon black and other chemical compounds including sulphur and zinc oxide. The carbon black, which is manufactured via the incomplete combustion of heavy petroleum products, can be replaced with silica compounds. So, in a novel approach to the production of this more sustainable alternative to carbon black, three chemical engineering graduates from the Indian Institute of Technology at Banaras Hindu University (BHU), Varanasi, have developed an eco-friendly process for extracting green silica from rice husk ash. The reduction of friction and pumping losses in engines is important. Otherwise, the engine has to work that extra bit harder – up to 20 per cent of the total power produced can be wasted. Researchers from Purdue University, Indiana, US have addressed the problem by adding tiny, and perfectly smooth, carbon spheres to motor oil. This can reduce friction and engine wear by up to 25 per cent. This offers major benefits in reducing friction and thus improved fuel economy. 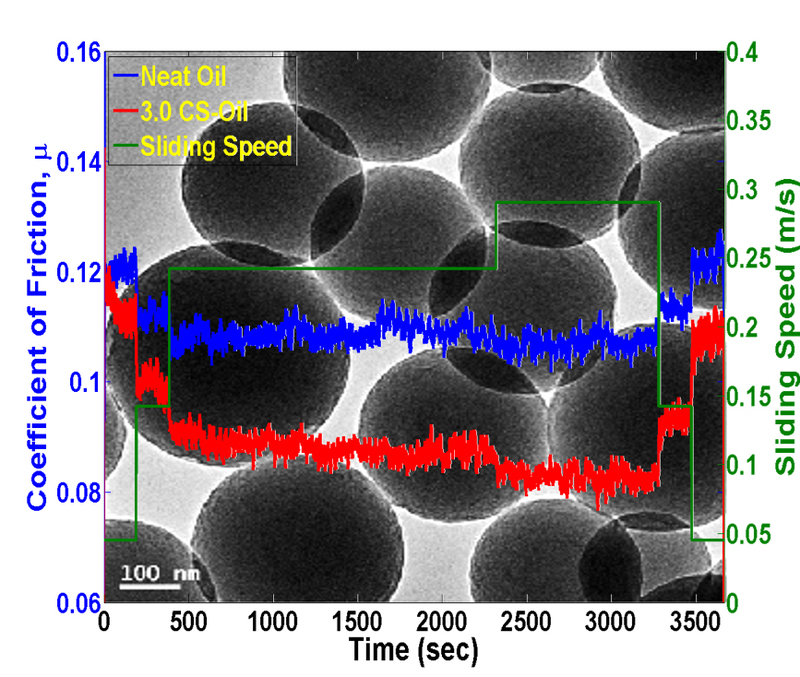 Motor oil containing three per cent of the tiny spheres by weight, each measuring between 100-500 nanometres in diameter, delivered a reduction in friction between 10 and 25 per cent. A cleaner fossil-fuelled future is something that I, along with many of my colleagues, aspire to achieve during my lifetime. Carbon capture, storage and use, and its potential to mitigate climate change figures strongly on my research agenda. So I was particularly pleased to learn that researchers from New Mexico State University (NMSU), US, have developed a new material that could capture carbon dioxide more efficiently and with greater capacity than any technology currently in place. Now you may think this a bold claim, but the research focuses on adsorption as opposed to absorption – which is the most common method used for capturing carbon dioxide. 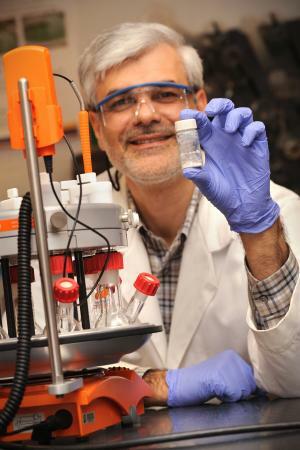 Nasser Khazeni, a chemical and materials engineering PhD student from NMSU, led and developed the research into this new technology, with specific focus on post-combustion separation of carbon dioxide. Chemical engineering can offer a life full of surprises, but I can honestly say that I never imagined the discipline being used to describe an extra-terrestrial life form. But that’s the out of this world topic behind today’s blog. 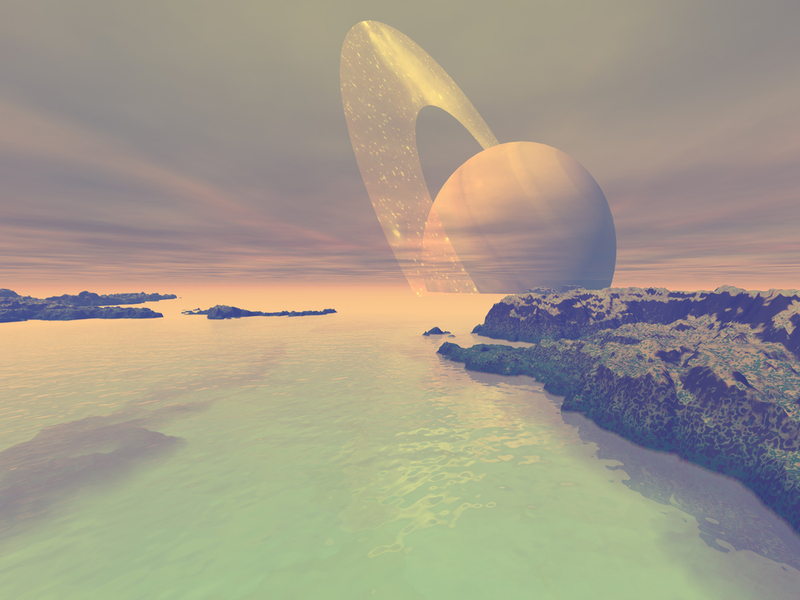 A team of chemical engineers and astronomers from Cornell University, US, have developed a template for life that might survive on Titan, the giant moon of Saturn. I have already discussed our chemical engineering colleagues who are astronauts (see ‘A path to the stars’) and possible methods of powering space missions (see ‘Human waste could power a lunar space mission’); but the reaches of space are endless. Our imaginations for other lifeforms are often limited by the assumption that water is a requirement for life. Whilst this is true on Earth, in other, colder worlds life may exist beyond the realm of water-chemistry. Titan has seas, like Earth, but unlike Earth these seas are filled with liquid methane. The team suggest that Titan could support methane-based, oxygen-free cells that are able to metabolise, reproduce and complete all the other functions necessary for life – as on Earth. Diversity encompasses acceptance and respect. It means that each individual is unique and that there is a need to recognise our individual differences. These can be along the dimensions of age, sexuality, disability, race, religion, social background or gender. It can be a very sensitive topic. On the political landscape there are issues around immigration and skills. At a more personal level, many people are conscious of the need to avoid discriminatory behavior and to avoid causing offence. Yes, it’s a tricky business, but I firmly believe that diversity is something that should underpin everything we do. And I am reminded of the quote attributed to the leading business thinker and author, Stephen R, Covey, who once remarked: “Strength lies in differences, not in similarities”. During my career, I have encountered many senior figures from industry and academia. The overwhelming majority have shared my view that diversity is essential; not just because it fosters innovation and growth, but because it right. Gender, culture, age, background and life experience bring different perspectives to the table, enriching us all in the process. Today is International Women’s Day, and on this day we will focus on the achievements of women and the drive for equality. This year’s theme is ‘Make it happen’. I believe, as I’m sure you do, that chemical engineers make it happen. I am proud that, relative to many other engineering disciplines, chemical engineering is a diverse profession, but I am also aware that there is more to be done. 284 days into my blog and counting. By now, I trust you’ve realised that the chemical engineering profession is truly global. But it’s still all too easy to focus on our own back yard. So today, I’m heading south to see what Africa has to offer. Last July, IChemE signed an agreement with the South African Institution of Chemical Engineers (SAIChE) that formalised collaboration and brought chemical engineering in South Africa closer to IChemE’s global community. I recently went on a trip to South Africa, and during my time there I met with many IChemE and SAIChE members who shared stories of their work. One of the research projects that caught my attention comes from North-West University (NWU) in Potchefstroom, south west of Johannesburg. 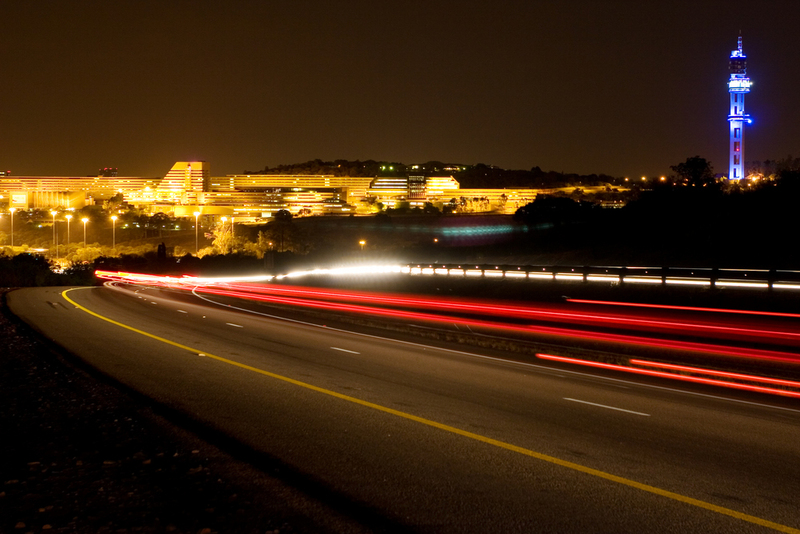 Much of the research at NWU looks at different aspects of the energy challenge, including bioenergy, fossil fuels (coal), nuclear energy and energy management. Today, I’m highlighting two different aspects of NWU’s energy research: safer and more sustainable coal stockpile management and the production of biodiesel from waste cooking oils. I am regularly fascinated by the work of colleagues who focus on fundamental chemical engineering science. They deepen the understanding of our discipline and they can often help to explain the world that we live in. 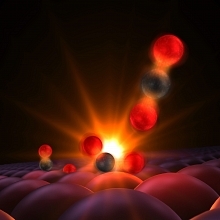 This illustration shows atoms forming a tentative bond, a moment captured for the first time in experiments with an X-ray laser at SLAC National Accelerator Laboratory. An international group of researchers at the US Department of Energy’s SLAC National Accelerator Laboratory has caught my eye. They’ve used an X-ray laser to capture the first glimpse of two atoms forming a bond, and thus becoming a molecule. The idea that we can actually observe a chemical bond at the point of formation was long thought to be impossible. So, I can’t stress enough the profound impact that this work could have on our understanding. The research will help to clarify how chemical reactions take place, which in turn, can help us design reactions that generate energy, create new products and fertilise crops more efficiently. 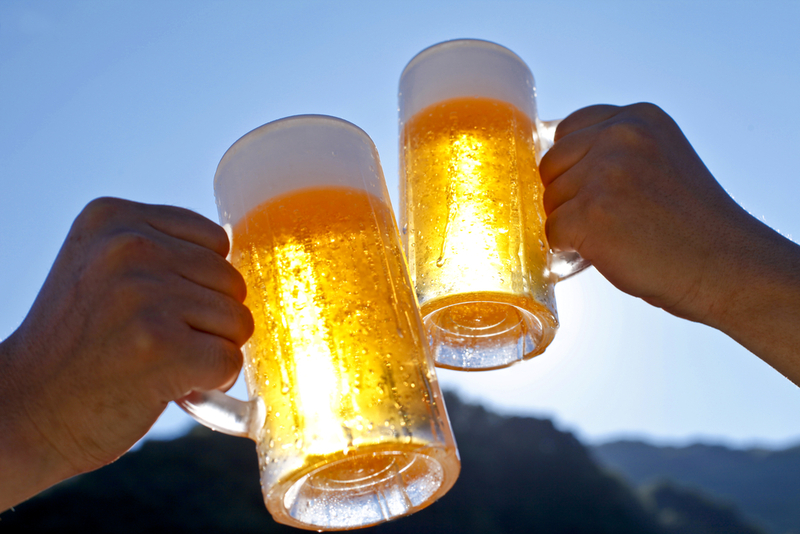 One of my favourite parts of being a chemical engineer is getting to meet other engineers and discuss (and celebrate!) their work. A few weeks ago I was lucky enough to be invited to the awards ceremony of the Queen Elizabeth Prize for Engineering, where chemical engineer Robert Langer was celebrated for his revolutionary work in drug delivery. Whilst at the event, I got the chance to talk to the many other engineers in attendance. One of which told me about a very exciting project she had been working on. The Andrew Area Development (AAD) project, completed by BP engineers, created the world’s longest pipeline bundle. When I read through scientific journals, the articles that grab my attention aren’t always the ones describing the most novel ideas. Sometimes it’s enough to just make something easier. That’s why today’s story appealed to me. Many everyday products including medicines, beauty products and foodstuffs contain emulsions: liquids with tiny droplets of another liquid suspended within them (see my blog ‘food, glorious, food…emulsions‘). A classic example that we all can create at home is vinaigrette (salad dressing), which is an emulsion of oil and vinegar. 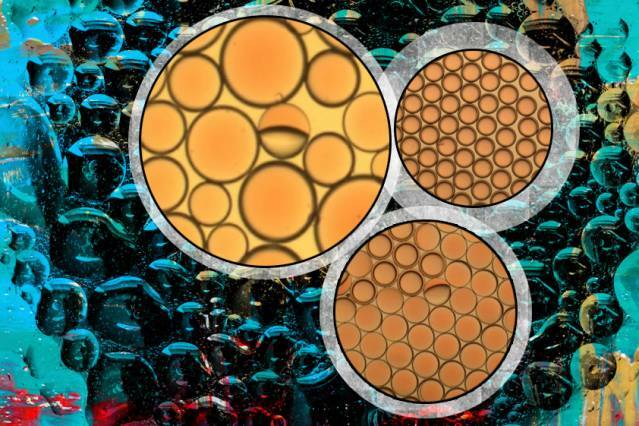 MIT researchers designed these complex emulsions to change their configuration in response to stimuli, such as light, or the addition of a chemical surfactant. Vinaigrette is a straightforward two component mixture. However, things get far more interesting when you suspend a liquid within a liquid, within a liquid. These complex emulsions (in this case a double emulsion) can be tailored for use in specific applications. A team of chemists and chemical engineers from Massachusetts Institute of Technology (MIT), US, have found a way to simplify the process of creating complex emulsions. Their method offers possibilities for rapid production at scale. Palm oil is widely used in the manufacture and production of food and cosmetics ranging from instant noodles to lipstick. 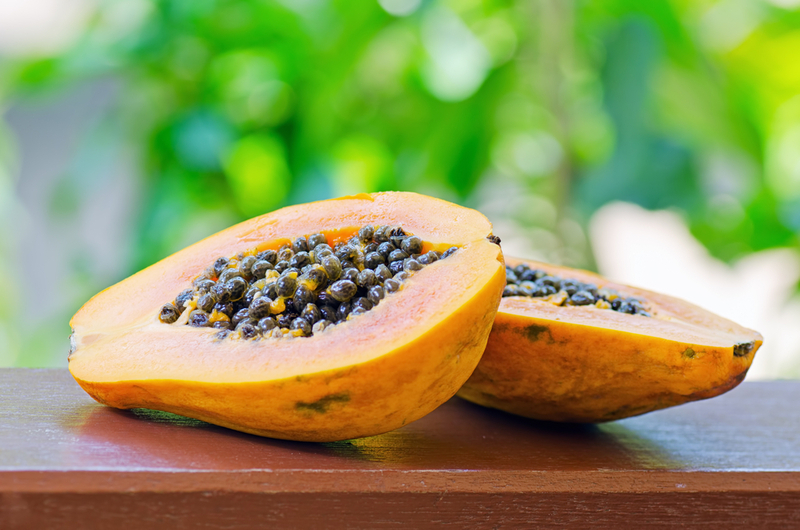 This edible vegetable oil is also used to a lesser extent in biofuel production. 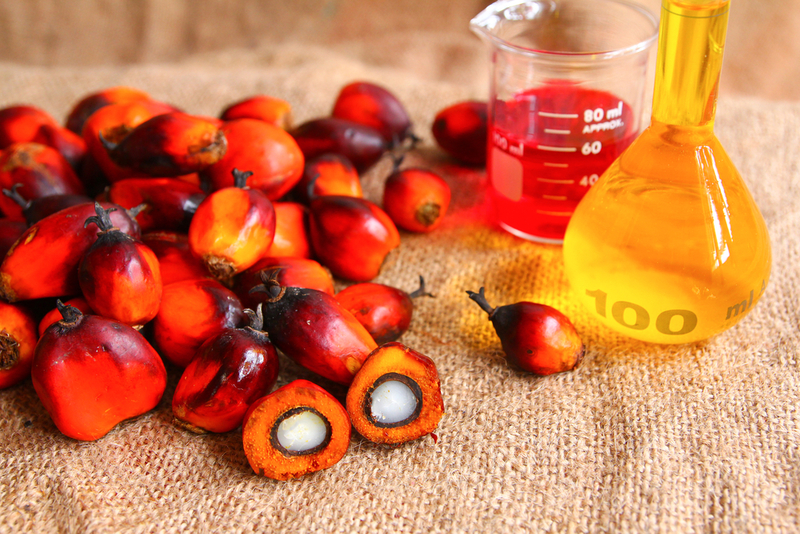 Today, world production of palm oil and palm kernel oil is around 50 million tonnes per annum. The oil palm is a very productive crop, and that’s why the two biggest producers of palm oil, Indonesia and Malaysia, can produce and process around 20 million tonnes each per year. But, palm oil production attracts criticism the world over. Deforestation and the destruction of natural habitats, such as tropical rain forests, are some of the detrimental effects of palm oil plantations. Palm oil has some very desirable properties, including an exceptionally high melting point and high saturation levels, so it’s easy to see why the palm oil industry isn’t slowing down, despite environmental and sustainability issues. Researchers at the University of Bath, UK may have discovered a revolutionary palm oil substitute – yeast.